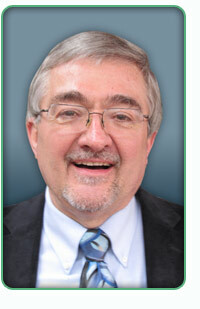 Dr. Ron Pekala is a Licensed Clinical Psychologist in Private Practice in West Chester, PA. He obtained his doctoral degree in Clinical Psychology from Michigan State University in 1981. Dr. Pekala did his undergraduate training at Penn State University, where he double majored in Philosophy and Psychology, having won the Dotterer for the outstanding Philosophy Major at Penn State. He completed his doctoral internship in Clinical Psychology at the Pittsburgh VA Consortium with subspecialities in biofeedback and family therapy. Dr. Pekala, with his 30 years of experience in psychotherapy and clinical psychology, combines the wisdom of a philosopher with the knowledge of a scientist to help his clients regain the hope and skills that they need to change mind and behavior and help them move into health and wellness. Besides helping clients within the supportive and trusting therapeutic relationship, Dr. Pekala teaches clients on how to change their minds, their brains, and their behaviors, to help promote lasting change within themselves, and better and healthier relationships with loved ones, friends, and family. He offers the services listed to the right.